A month ago, we announced our Open-Source Retreat, where we'll be giving grants to a few open-source developers to work on their projects full-time. We were hoping to find projects where our grant could make a large difference: rapidly-growing projects where the maintainer can't currently find the time to give it the attention it needs, risky ideas that have a lot of upside but need support to be tried at all, and the like. We received about 120 applications in total. Since we only had a few slots (we in fact were originally going to do two, but we had so much trouble choosing we ended up creating another slot), there were a large number of really awesome projects we had to turn away. Our main consolation is the number of declined applicants who responded saying the retreat had renewed their enthusiasm for their project. A clean-room implementation of TLS v1.2 by Ashwini Oruganti (an especially timely project given recent events). It's an ambituous undertaking, but she's narrowing scope by focusing on designing and implementing a "TLS API for humans" and building on top of existing lower level primitives. The project will be written as part of Python's cryptography library. An improved dependency resolver with automatic conflict resolution for CocoaPods, written as a standalone library to be shared with Bundler, by Samuel Giddins. 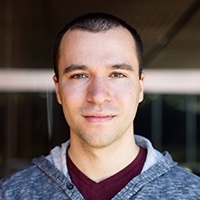 Samuel's plan is also to produce a language-agnostic acceptance test, which should help guide future package manager and dependency resolver implementations. Two libraries for "Minority Report-style UIs" in HTML5 by Julian Shapiro. Julian is trying to give web animation the workflow and performance boosts it needs to be a realistic platform for the UIs of the future (e.g. Oculus Rift, wearables). He's designed three libraries for this, and already implemented one of them (Velocity.js, which has attracted a great deal of attention since its launch three weeks ago). We're treating this iteration of the retreat as an experiment, but the overwhelming response we saw makes it likely we'll do something like it again. In any case, we expect we'll learn a lot from this run and hopefully have lessons to share back with the community. Lastly, we've heard from a number of other companies that they're interested in running similar programs (which we wholeheartedly encourage! ), so hopefully there will be other opportunities like this soon. Please get in touch if you have any questions about our retreat, running your own, have feedback for us, or just want to chat.